It’s not every day that you get a glimpse at what a company thinks is the future of the mobile device. 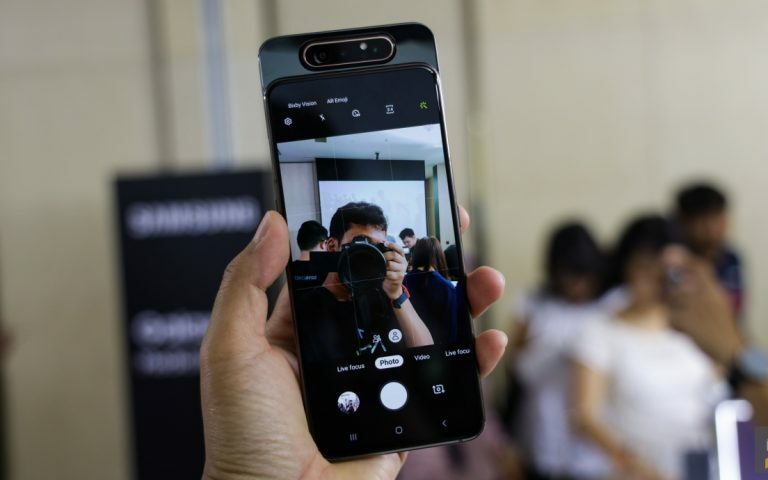 Some days though, we do, and this is one of those days because Vivo Malaysia invited us to a special session where we got to spend some quality time with their brand new concept phone, the Vivo Apex 2019. Before we go further into this hands on, let me just reiterate that this smartphone is a concept phone. It’s not meant to be a practical device that you and I can buy. 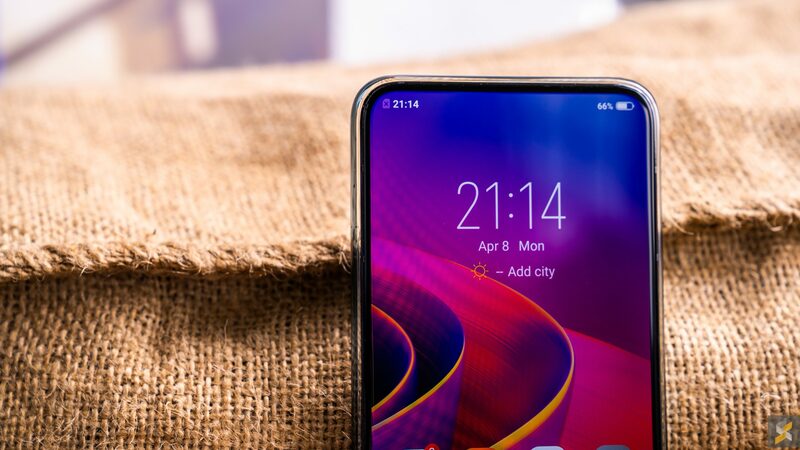 The Vivo Apex 2019 is meant to be a platform for Vivo to showcase some of their new mobile tech, as well as their vision for the smartphone as a concept. 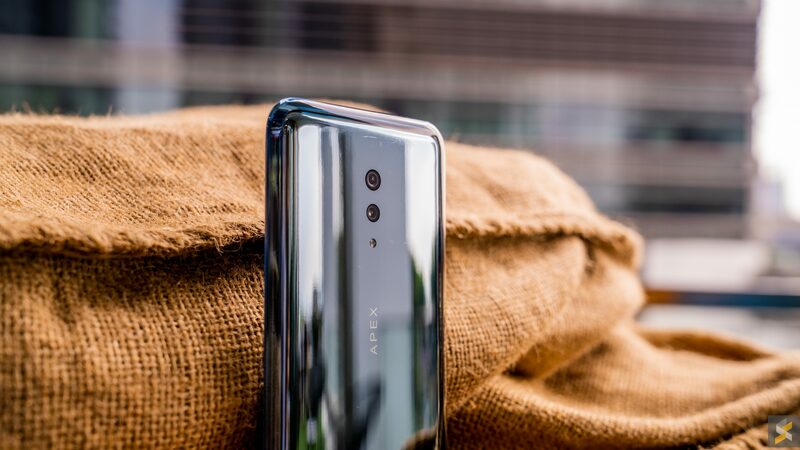 Much like they did with the original Apex that many of us saw at MWC 2018 — y’know, the one that debuted the motorised pop-up camera on the modern bezel-less smartphone — this sequel is here to ask the question of “What if” and provide Vivo’s vision of the answer. In the case of the Vivo Apex 2019, that question is: What if your smartphone had no buttons, no grilles, and no cutouts of any kind? 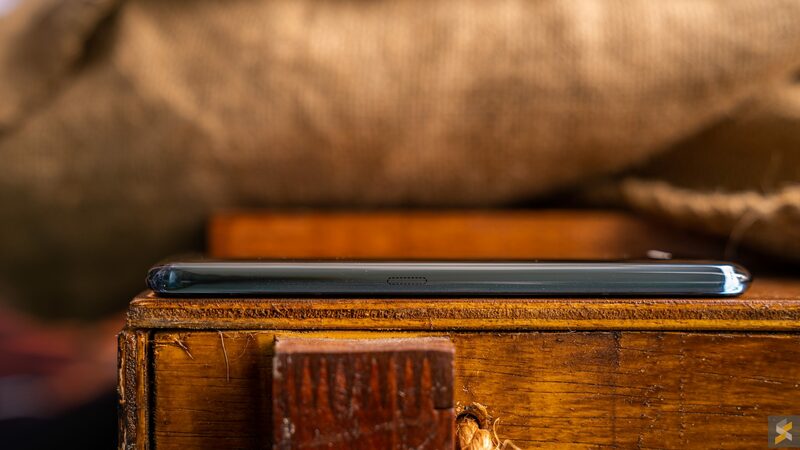 What if your smartphone was just a gorgeous, practically seamless slab of glass and pretty construction? What would a phone like that look like, and how would it work? 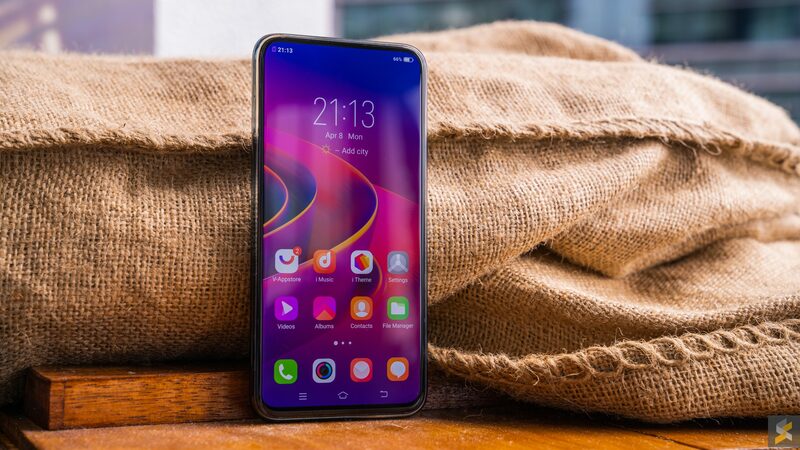 Although it looks like your regular smartphone, the Vivo Apex 2019 is actually quite far from that. 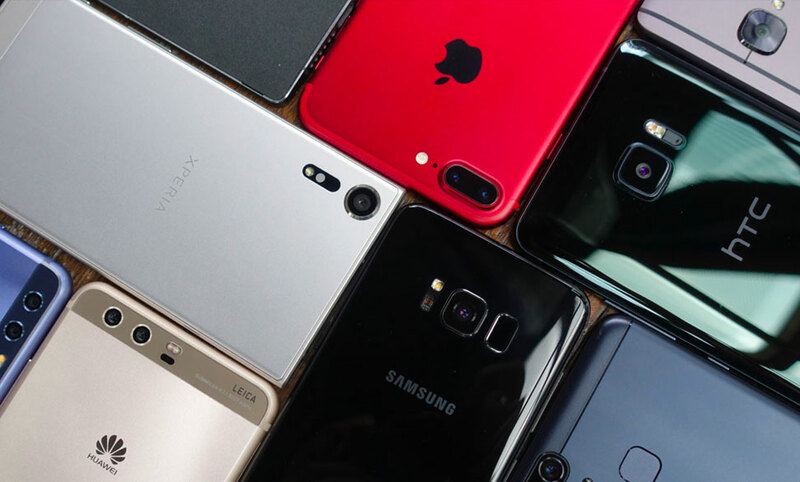 Yes, it’s still a rectangle with a glass back and a screen in front, but if you pick the handset up, you’ll notice that there are quite a few big differences between it and the phone in your pocket. First up, its body isn’t built like the glass and metal sandwich you’d find on most high-end flagship smartphones. 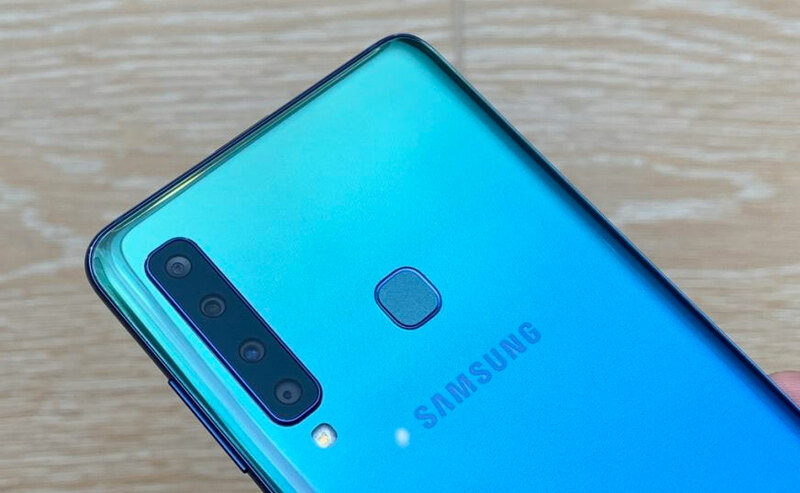 Instead, the phone’s translucent glass back curves all the way around the sides of the smartphone in a way that I haven’t really seen another phone do. It’s almost like you’ve got a silicone case on the back of your handset that also wraps around the side. The biggest difference, however, is how a curved glass body like that feels in your hand. 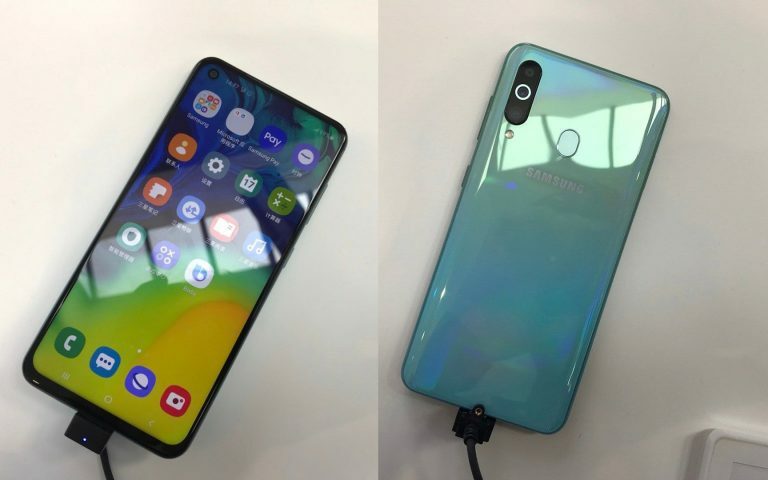 You know I’m always on about how phones like the Galaxy S10 have a seamless build? Well, it turns out that I ain’t felt nothing yet because the Vivo Apex 2019’s “G2 curved surface” glass back is actually what a seamless build feels like. A single unbroken curve from edge to edge, with no camera bump, no fingerprint scanner bump, with the only break in the otherwise flawless back being the small magnetic strip that you use to charge the smartphone. “But wait, why would you need a magnetic strip to charge a phone?” I hear you ask. 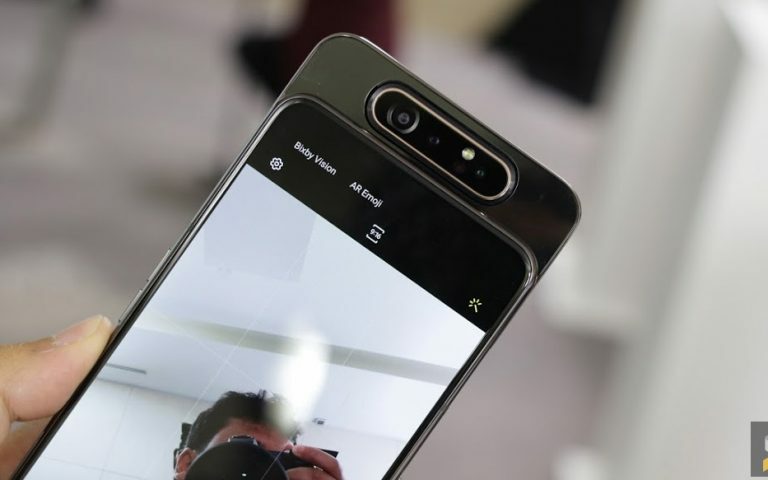 Well, young padawan, one of the more interesting features about the Vivo Apex 2019 is that it doesn’t have a single hole or cutout for anything. 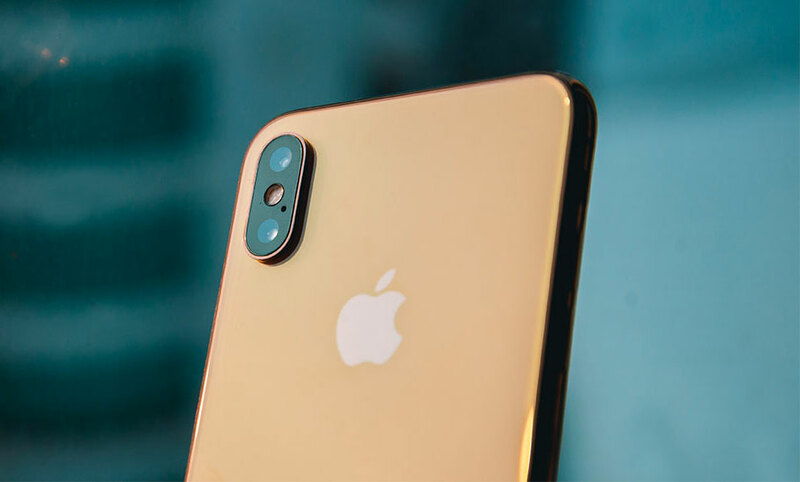 Instead, they’ve replaced those “old-school” interfaces with a couple of new ideas, and we’ll start with the magnetic strip that you use to charge the handset. Vivo calls it a MagPort and this is the one and only port that you can use to connect the Apex 2019 to a cable. It works a lot like MagSafe on the old MacBook Pro where you have a set of gold connector pins that maintain contact through the use of magnets. Vivo says that this is capable of supplying enough power for the Apex 2019’s 40W fast-charging capabilities, but we weren’t really able to see the charging in action. I’m a little on the fence about this charging solution because with a magnetic port, you can’t just hook up your smartphone to a charger, then toss it in your backpack. 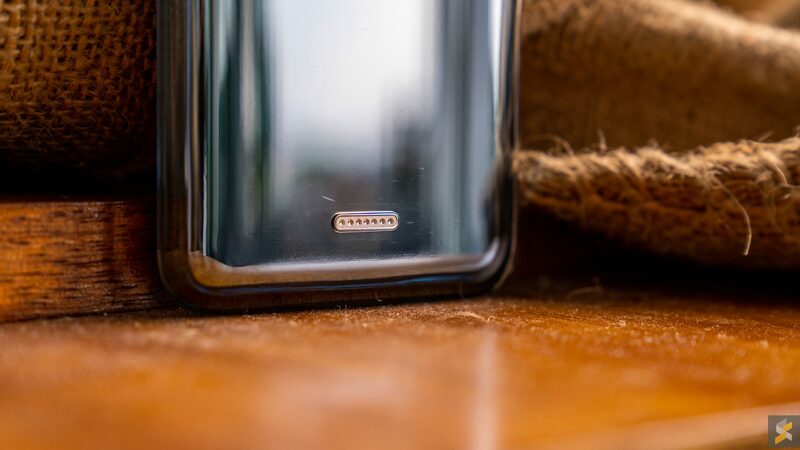 It doesn’t offer the same kind of secure fit that something like a USB-C port offers — plus you’d have to deal with the whole proprietary nature of the MagPort when you want to get more accessories. However, this also offers the same safety features a MagSafe port does, where the port won’t get damaged if you accidentally tug on the cable because the magnets would just release. I also asked Vivo why they didn’t just include wireless charging on the Apex 2019 — because it would have been a lot more practical if they wanted to go down the no USB port route — their answer was simply that the Apex 2019 isn’t meant to be practical. 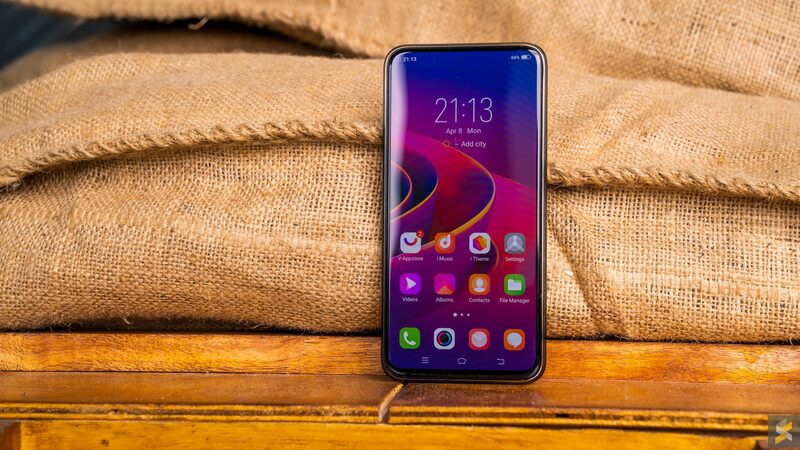 The purpose of this phone is to showcase new technology, so if they simply slapped Qi wireless charging coil on it, they wouldn’t be showing anything new — which actually makes complete sense. And, when you view this phone in that context, everything else about it also makes more sense. Like the fact that the phone doesn’t have any buttons. Now, I’ve used a “buttonless” phone before, but while that was very difficult to use because of how hard you needed to press down on the “buttons”, the Vivo Apex 2019 doesn’t seem to suffer from this problem. In my brief time with it, I was surprised by how well every “button” worked on the handset. It didn’t require as much effort as HTC’s solution, and it was also far more accurate at recognising the right button presses. That said, I’m not quite sure if this is something that’s worth the trouble because it doesn’t feel nearly as good as a regular, well machined button. Is it really worth the downgrade in experience just so you can get a smooth side? Right now, my answer is no. But, while I am on the fence about the buttons and the charging solution, I do like the other two innovations Vivo showcased with the Apex 2019. We’ll start with the Apex 2019’s Body SoundCasting technology. 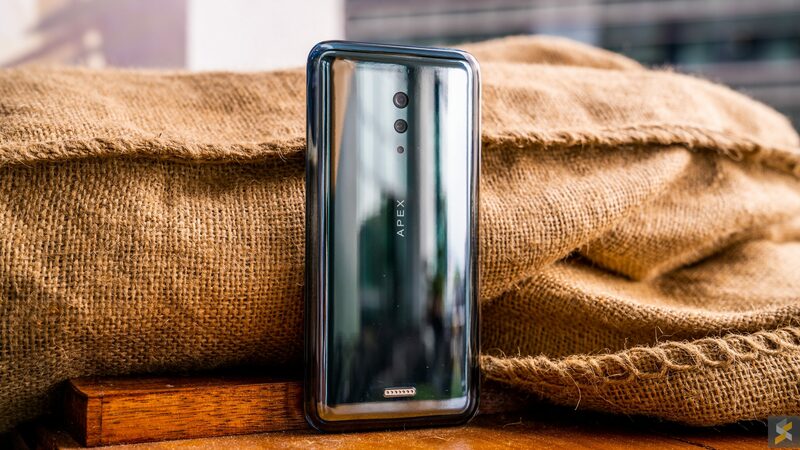 While there are no speaker grilles cut into the Apex’s body, the phone is still able to produce solid stereo sound thanks to this technology that actually debuted on the original Apex. Through Body SoundCasting, the phone actually vibrates the display and the back of the phone to project audio out of the phone. It’s not immediately obvious where the sound is coming from, but I have to say, it really works. The audio was loud enough without sounding nasty, and we were still able to hear it even outdoors. 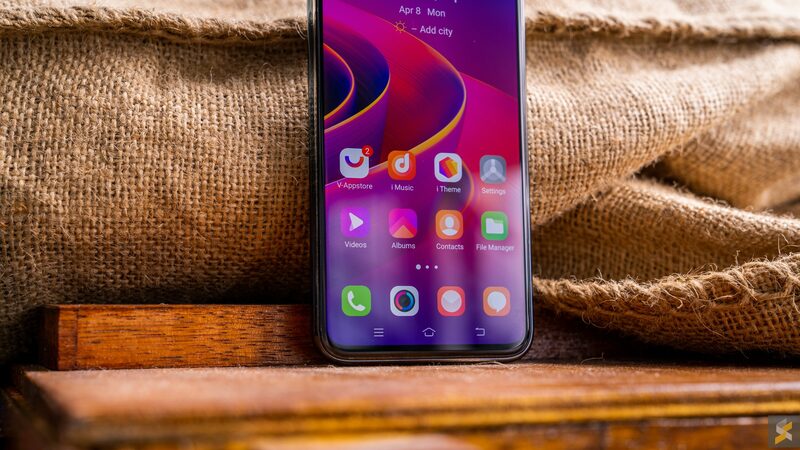 It reminds me a lot of the LG G8’s speaker setup and I’m glad because it serves as a little reassurance that even in the future of bezel-less smartphones, we can still get decent audio from a smartphone’s built-in speakers. That being said, my favourite thing about the Apex 2019 is its fingerprint scanner implementation. Y’know, when I first heard about the concept of an in-display fingerprint scanner, what I pictured was a phone would be able to read our fingerprint from anywhere on the display. But, even to this day, most in-display fingerprint scanners only scan a tiny spot near the bottom of a phone’s screen. Vivo, however, have taken things to the next level with the Apex 2019. On this phone, they’ve stretched the sensor so that it now covers practically the entire display so you can unlock your phone by placing your finger anywhere on the screen. It’s awesome, and it works about as quickly as most of the in-display scanners I’ve used so far. Yes, it’s still optical, so it’s probably not as secure as an ultrasonic solution, but there’s no denying how useful this kind of implementation is. With most in-display scanners, I have to consciously look at where I’m putting my thumb because here’s no groove or indentation to tell me that I’ve got my finger in the right place. But with the Apex 2019, there’s no such need. I just need to touch the screen and BAM, I’m in. In fact, with the Apex 2019, you can also register two fingers at the same time so you don’t even have to register each finger individually. At the end of the day, the Apex 2019 is really just a technology showcase. It’s not something you can buy — and I doubt it ever will be — but it’s a great way to look at what a smartphone company thinks the future of smartphones could look like. Plus, the Apex has a couple of cool ideas that I would love to see go mainstream (full screen in-display fingerprint scanners please). 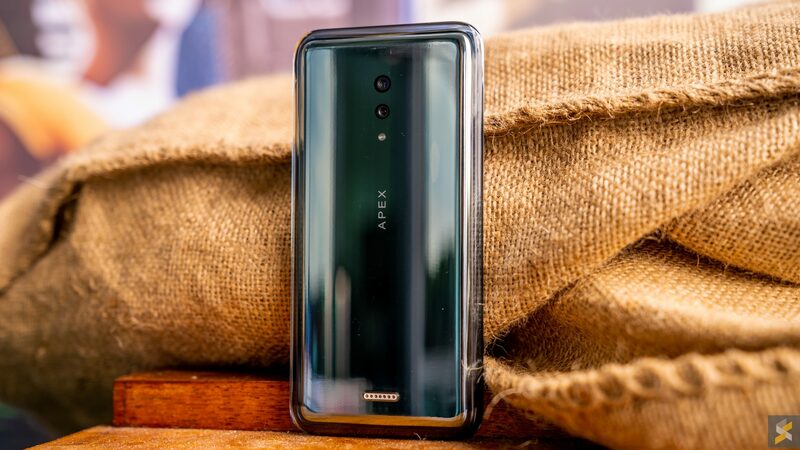 With the Snapdragon 855 chipset, 12GB of RAM and 256GB of internal storage, the Apex 2019 is also the company’s first 5G smartphone. 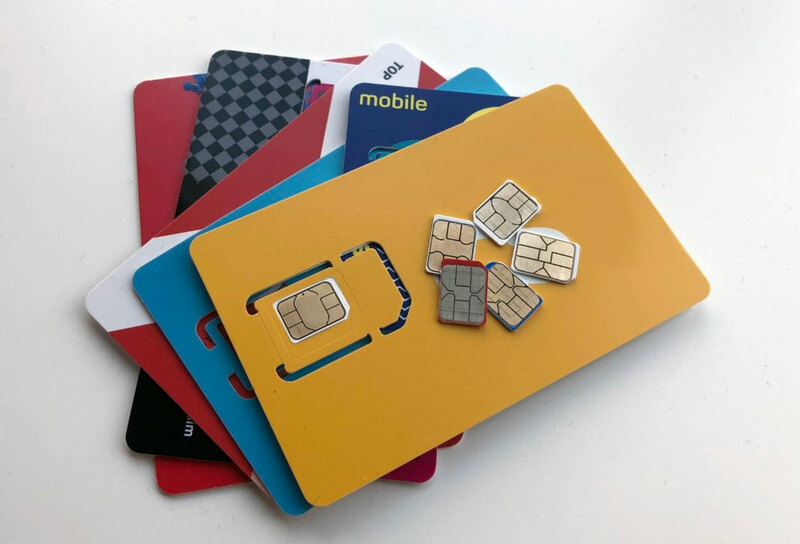 But, it is worth noting that the Apex 2019 doesn’t actually support physical SIMs because…well, there’s no SIM tray. It does, however, have support for eSIMs. Another thing you may have noticed is that the Apex 2019 doesn’t have a selfie camera. Like, none at all. When I asked Vivo why this was the case, they gave me the whole concept phone narrative — which, again, is something that I can accept — but they also noted that they were working on something new. According to the Vivo spokesperson, this new tech was a selfie camera that lived under the display. I immediately asked if it was going to be a punch-hole camera, but they declined to confirm. So, what is the Apex 2019, really? Well, if I had to sum it up, I’d say that it is a good look at what we could expect to see on the next Vivo smartphone. 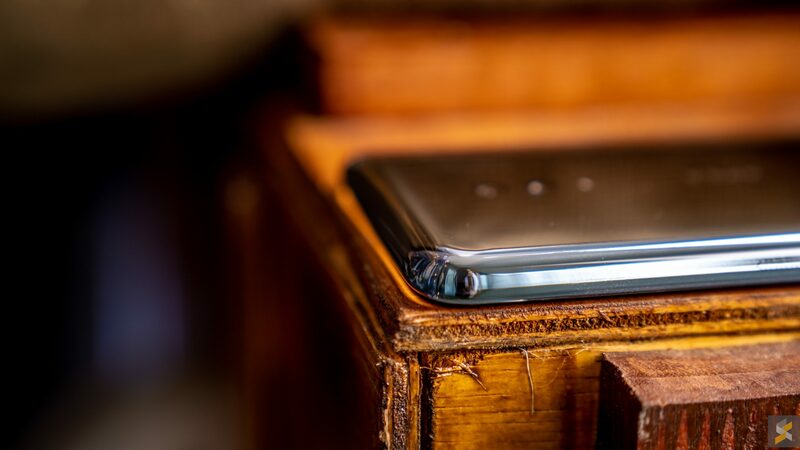 If I had to make an educated guess, I’d say that we should see at least some of the good stuff demonstrated here, make an appearance on the next Vivo NEX smartphone. For those who are unfamiliar, the NEX is usually the mass-market phone that you and I can buy, that’s based on the Apex concept. Will it have everything we see here? I doubt it, but we should be able to see a good amount of the good stuff make its way on the NEX. And that, should be pretty interesting.